Over the past decade or so Kadego has diversified from a mechanical design company to offer services in 3D visualisation such as animations and rendered images. In 2014 Kadego expanded into virtual reality. One of the areas of business that VR can be very useful for is training and simulation. 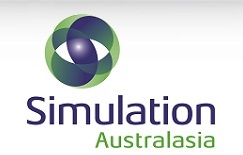 As a result of this change the benefits of membership of ‘Simulation Australasia’ have recently become apparent. Today Kadego are proud to announce taking up this membership option.